Traffic jams are an annoyance when we're trying to get around town. But at over 8,000 meters above sea level they can be deadly. This is the dilemma facing climbers and travel agencies on Mount Qomolangma, commonly known in the West as Mount Everest. This year, the busiest ever, traffic jams in the "death zone" will almost certainly occur again. The 8,844-meter mountain has steep icy slopes, treacherous conditions and low oxygen level. Climbers who stand in one spot for hours face freezing to death or running out of air to breathe. With the approach of the best time of year for scaling the world's highest peak, which lies on the border between Nepal and China, the base camps on opposite sides of Mount Qomolangma see their busiest season, as hundreds of trekkers from all around the world get ready for the climb of their lives. This year, the total number of climbers may surpass 1,000, more than ever before. The Nepali government issued 371 climbing permits to foreigners this year, the most since the mountain was first scaled in 1953. Including local Sherpa mountain guides, around 800 people will attempt the climb from the Nepali side this year, according to the Associated Press. The number of climbers didn't grow on the north side this year, said Tashi Tsering, a senior guide who has climbed Qomolangma 11 times and is now leading a climbing team at the North Qomolangma Base Camp in Southwest China's Tibet Autonomous Region. "There are about 200 climbers from the north, almost the same as last year," Tashi, who works for the Tibet Himalaya Expedition Company, a leading Chinese trekking and adventure agency, told the Global Times. "We have limited the number. Besides, we have been emphasizing that reaching the summit is not the most important thing, safety is." Ma Liyamu, a Chinese climber who led a team up Qomolangma from Nepal last year, said there will more people climbing the mountain this year because natural disasters in 2014 and 2015 prevented permit-holders from climbing. Alan Arnette, a US mountaineer who summitted Qomolangma at age 54 in 2011, agrees. "Both Nepal and China extended climbing permits after the 2015 earthquake so many people, 70 just on the Nepal side, are using permits before they expire. Also, 2016 was a good year on Qomolangma, tricking people into thinking it is safe," Arnette told the Global Times on Tuesday via e-mail. Several traffic jams happened on Qomolangma last year. Mingma Tenzi Sherpa, a Nepali guide who has reached the summit of Qomolangma six times, said he and his clients were delayed four hours on their way to the summit, waiting for an hour at the bottom of the famous "Hillary Step," a nearly vertical rock face approximately 8,790 meters up, the last steep challenge of the ascent, the Associated Press reported. Two of his clients lost toes during the wait, the Sherpa told the news agency. "When standing still, climbers get cold and use up their oxygen. Frostbite can develop on hands and toes. In some cases people can die," Arnette said. The summit window for climbers from Nepal has just arrived as storms delayed repair work on the road to the summit for several days. Climber Han Zijun from Shanghai who ascended the peak from Tibet last May plans to try the southern route this year. "Everyone is worried about the heavy traffic. Weather conditions suitable for an ascent only last about a week. It will be crowded as hundreds of climbers will be trying to reach the summit within just a few days," Han told the Global Times. "The team leaders will negotiate in order to stagger leaving times before the last ascent. For myself, I will tell the Sherpa in advance to turn down my oxygen flow when we meet congestion," she said. "But all I can do is pray for no traffic jams and that the climber ahead moves quickly." Ma is from the Xinjiang Uyghur Autonomous Region and founded Crazy Mountain Expedition Urumqi in 2013, believes there are reasons for this year's high number of climbers besides the earthquakes and avalanches of recent years. "Some media portray the ascent as very easy and that the summit can be reached as long as you are rich. Some climbers misunderstand the purpose of extreme sports and see the ascent as a way to show off," said Ma, who is now leading some Chinese climbers from the southern route. Kuntal Joisher, an Indian climber who reached the peak in 2016, shared a similar view. "Today, a lot people across the world think that anyone with no skills and experience can climb Qomolangma, that it's become a walk in the park," Joisher was quoted as saying by the Associated Press. Some agencies also use low prices to attract clients. "We are sorry to see that some climbers come here as if this is just 'traveling.' They think that money can buy any service, some can't even wear gear properly and treat Sherpa as servants," Ma complained. This trend has sparked concern over safety issues and the environmental damage caused by the increasing number of climbers, with some experienced climbers calling on the Nepali government to limit how many permits it issues. The Nepali government proposed some limits in 2015, such as banning those younger than 18 and older than 75 from climb mountains 6,500 meters tall. But even these tame measures have never taken effect. On May 6, an 85-year-old Nepali climber trying to become oldest person to top Qomolangma, died at the South Base Camp of a cardiac arrest. "The Nepali government is unstable with many turnovers in key positions, this has prevented a reliable set of policies from being enforced," explained Arnette. Nepal is renowned for adventure tourism due to its prominent peaks. Income from permits, hotels, guides and other related services bring millions of dollars to the country each year. 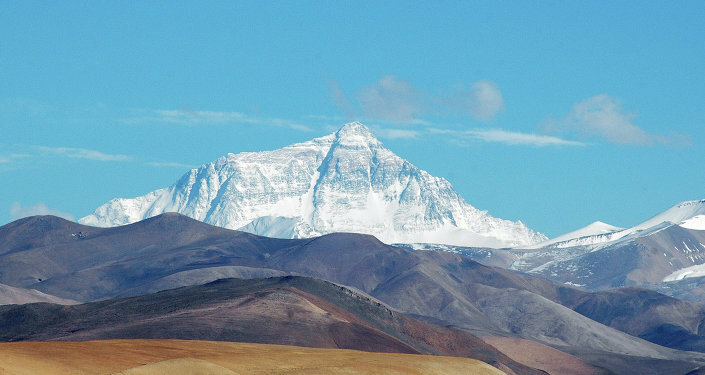 The Qomolangma permit costs $11,000 per climber. 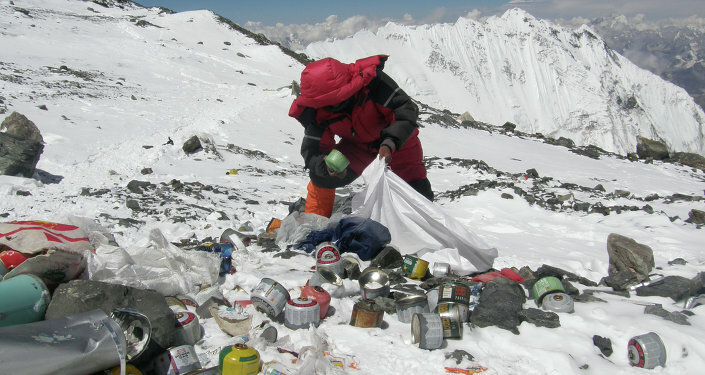 According to the Nepali government, Qomolangma contributed 73 percent of the country's mountaineering sector's total income in 2015. To reduce congestion, the Sherpas have tried to build two-way routes this year by installing ropes and ladders in some sections over the dreaded Khumbu Icefall, just above the base camp, Ma said. These routes will allow climbers to descent as others ascend, reducing congestion on the narrow paths up and down the mountain. "The death rates are higher among these Sherpas, and they help the climbers accomplish their ascent dreams with their lives," she said. "Without them, we are nothing." Though most climbers now approach from the southern, Nepali side, there have also been traffic jams on the northern, Chinese side. "I suffered from several traffic jams while ascending the summit last year, but the wait time was just 10 to 20 minutes. The longer wait happened during the descent when I waited for about 40 minutes," said Han. Besides permit numbers, there are also other reasons for the southern route's greater popularity. Some say that the southern route is easier, as it is more difficult to walk on the loose rocks which litter paths on the Chinese route. Tashi said it's hard to compare the challenges. But he thinks the risk of natural disasters is larger on the southern side as it faces the direction of the wind. "To avoid traffic jams, we've already formed a mechanism to have a meeting when we reach 8,300 meters and negotiate departure timetables for each team," Tashi said. This year, he is leading a team of 24 Chinese clients up Qomolangma from the north. Together with guides and logistics staff, the team of over 80 members plans to ascend the summit in late May. Some teams in the south have already ascended the peak, he said. Ma said that the mature helicopter rescue system and weather forecast ability of Nepal particularly attracts Western climbers. Han said the higher requirements the Chinese government set for permits might also be a reason for the disparity in numbers, saying that the Nepali government gives permits to anyone who can pay the fee and has summitted 5,895 meter-high Mount Kilimanjaro; but China demands climbers must have already topped a peak that is 8,000 or more meters tall. There are only 14 mountains that meet this requirement, all of which are in Pakistan, China or Nepal. Another key reason is the Chinese government's general caution about allowing foreigners to mountaineer in Tibet. China opened eight peaks to foreigners in 1980, including Qomolangma. But the northern route to Qomolangma has been closed repeatedly over the years for a variety of reasons, including worries that Tibetan separatists may stage a political protest on the famous peak. Most of the climbers who attempt to master Qomolangma are either Westerners or Japanese. But both Ma and Tashi say that the number of Chinese climbers looking to test themselves in one of the most unforgiving environments on earth is growing. Tashi said that when his company opened registration for climbers looking to try the Tibet route in 2017, the quota was filled in just one day. Most of the 24 clients who signed up come from China's richest cities, such as Beijing, Shanghai, Shenzhen and Guangzhou, he said. Last year, the number of Chinese clients was just 14. "Before, the number was only two or three a year. In 2009, non-governmental Qomolangma mountaineering started to thrive," he said. "More and more Chinese are interested in trekking high mountains." Ma said there will be over 40 Chinese climbers approaching the peak from Nepal this year. Spotting an opportunity, she opened a branch in Nepal in 2014 and hired full-time Sherpas. The company Tashi works for is still only open to Chinese clients. "But we are planning to expand our client source and receive foreigners. Currently, we are training more professional multi-lingual guides," he said. This article, written by Huang Jingjing, was published in the Global Times.